With thanks to RAF Lakenheath PRO. A crew of No. 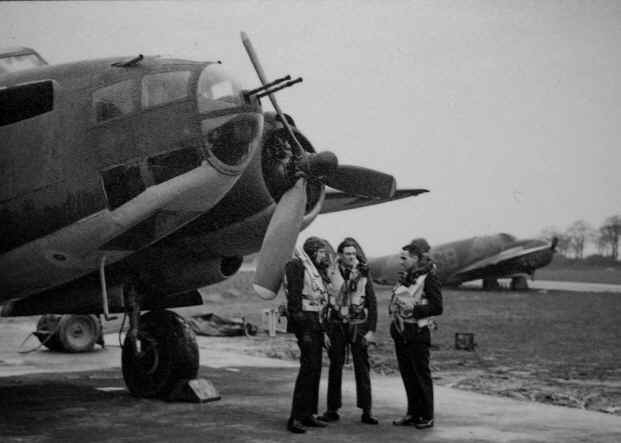 464 Squadron in front of their Ventura bomber at Feltwell, 1943. Throughout the war, Feltwell hosted a number of units including No. 214 Squadron (an RAF unit Flying Harrows and Wellingtons), No. 37 Squadron (RAF, Harrows and Wellingtons) No. 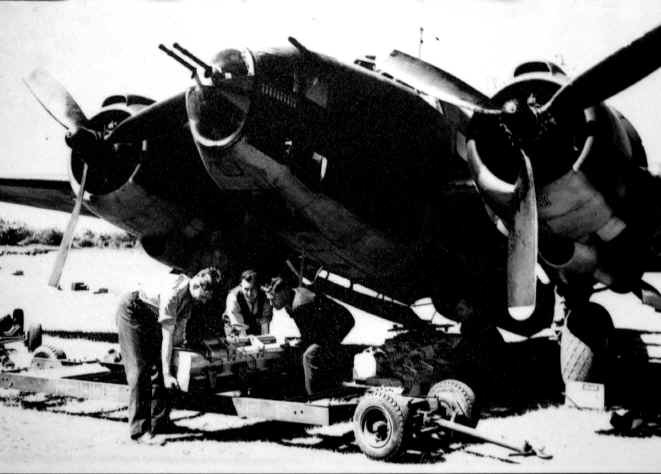 75 Squadron (RNZAF, Wellingtons) No. 57 Squadron (RAF Wellingtons), No. 487 Squadron (RAF), No.464 Squadron (RAAF, Venturas), No. 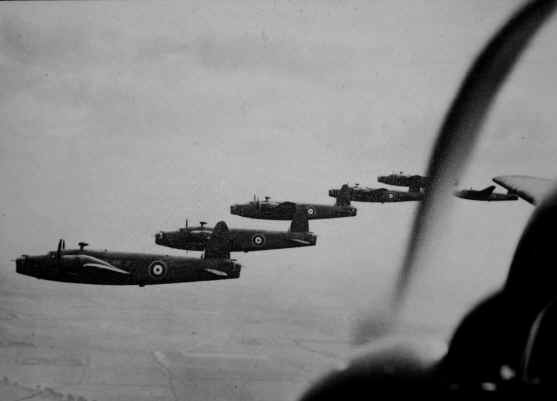 192 Squadron (RAF, Mosquitoes and Wellington X’s) and No. 3 Lancaster Finishing School (designed to train Lancaster Crews for #3 Group). 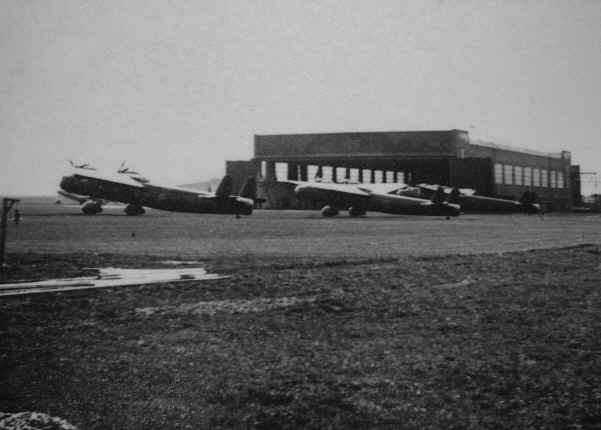 Here, Harrows of the Royal Air Force’s 37 Squadron sit on Feltwell’s flight line, September 1939, with the war just six hours old, crews of 37 Squadron launched to attack warships off Heligoland. Bad light and approaching darkness prevented a successful raid. Subsequent sweeps over the North Sea between September and mid-December resulted in only minor confrontations with the German Navy. The Squadron however, encountered a group of ships on 22 December but lost five of six crews from enemy fighters. A crew member of the Royal Australian Air Force’s No. 464 Squadron at RAF Feltwell, October 1942. Formed in September 1942, 464 Squadron and other commonwealth units played an important role in the Circus bombing campaigns, or operations over occupied territories. One such operation involved No. 464 Squadron’s 6 December 1942 raid on Eindoven. Using Lockheed Venturas, crews repeatedly struck Philips electrical works with incendiary munitions, leaving the factory a mass of flames. Both Royal New Zealand and Royal Australian Air Forces flew from RAF Feltwell or RAF Lakenheath. Taken during mine laying operations in 1940, These Feltwell Wellingtons belonged to the Royal New Zealand Air Force’s No. 75 Squadron. On 8 July 1941, Sergeant J.A. 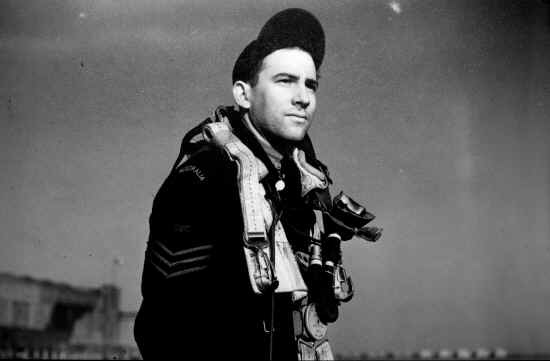 Ward was awarded the Victoria Cross for gallantry when he tried to extinguish a fire on his Wellingtons right wing, after cutting a hole in the fuselage, Sgt Ward climbed out on the wing, even emptying the crew’s tea thermos on the fire.